This is a scalable context timeline. 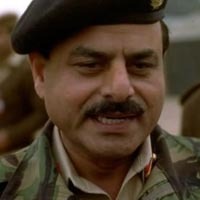 It contains events related to the event April 1987: Hamid Gul Becomes Head of ISI. You can narrow or broaden the context of this timeline by adjusting the zoom level. The lower the scale, the more relevant the items on average will be, while the higher the scale, the less relevant the items, on average, will be. Charges against Gul - A document listing the charges against Gul is leaked to some Pakistani newspapers. He is accused of helping to relocate al-Qaeda fighters from Iraq to Pakistan’s tribal region earlier in the year, providing financial and military support to the Taliban, and helping to recruit fighters to attack US forces in Afghanistan. It is also claimed he is in contact with Baitullah Mahsud, leader of Tehrik-i-Taliban (the Pakistani Taliban). [Reuters, 12/7/2008] Gul strongly denies the allegations. 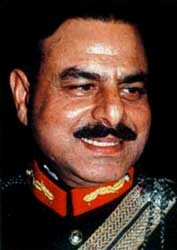 He was head of the ISI from 1987 to 1989 (see April 1987). Since then, he has maintained a high public profile in Pakistan, generally speaking in support of Islamist militant groups, and even defending Osama bin Laden on occasion. According to the Washington Post, both Indian and US officials say that Gul has maintained particularly close ties to the Pakistani militant group Lashkar-e-Toiba, and he is believed to have played an advisory role in several of that group’s recent attacks. [Washington Post, 12/9/2008] The names of the other four ex-ISI officials the US wants to add to the UN list have not been made public. However, ex-ISI official Khalid Khawaja says he suspects he is one of the other names. “I openly say I have links” to the Taliban and other militants, Khawaja says, but he denies there is anything illegal about his activities. [Reuters, 12/7/2008] The US could also place Gul on its own terrorist blacklist, but if it has done so, it has not made this public. Gul Still Linked to Pakistani Government? - Gul denies all the allegations. Pakistani officials also deny that Gul still works with the ISI in any way. But the Post reports: “Despite his denials, General Gul keeps close ties to his former employers. When a reporter visited General Gul this spring for an interview at his home, the former spy master canceled the appointment. According to his son, he had to attend meetings at army headquarters.” [Washington Post, 7/26/2010] In late 2008, the US government attempted to put Gul on a United Nations list of terrorist supporters, but apparently that move has been blocked by other countries (see December 7, 2008).